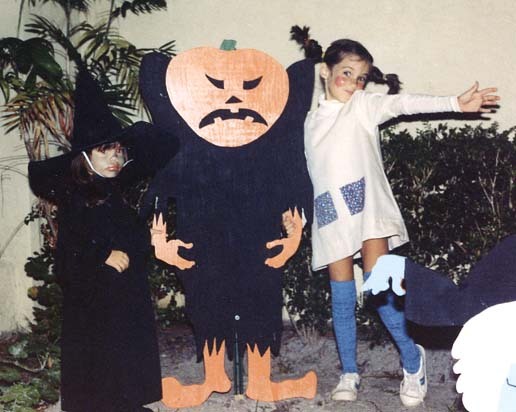 1982 Erica and Monica ready to scare everyone during their Trick 'r Treating! 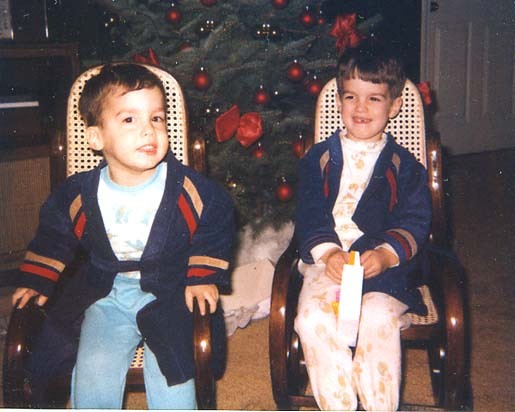 1982 Twin rockers, Eric and David in front of one of our Christmas trees downstairs at Governors Court in Falls Church, VA.
1982 Kiko, shows David how it's done, and tries to make it look hard, while visiting Mimi and Papi. Pablo is in a quiet mood. 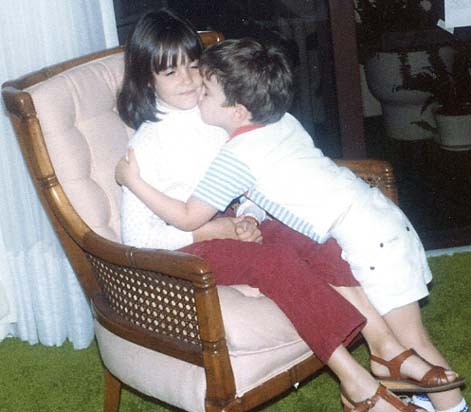 1982 David likes to kiss all the girls, and this time it's Monica's turn. 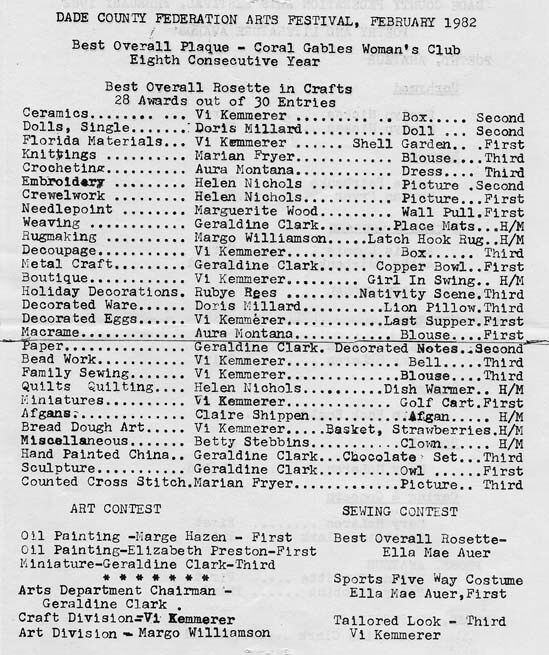 1982 Aura Montana (underlined), wins first prize in macramé at the Dade County Federation Arts Festival. Her winning entry was a blouse. 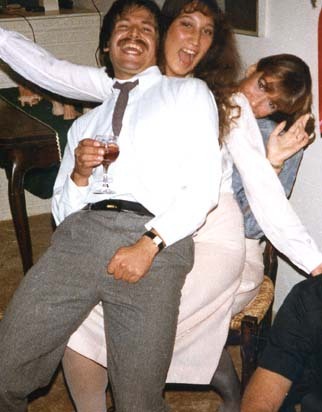 1982 A bunch of troublemakers! Armando Andres, Lauren and Lisa laugh it up during festivities at Mimi and Papi's condo at the Biltmore ll. 1982 Lauren in her full uniform as a Highlandette drill team member. She marched in various parades during her high school years in Dallas. 1983 Mom and Dad in Hawaii - Ooops! That's not it. It's a Hawaiian Luau at the Country Club in Coral Gables. 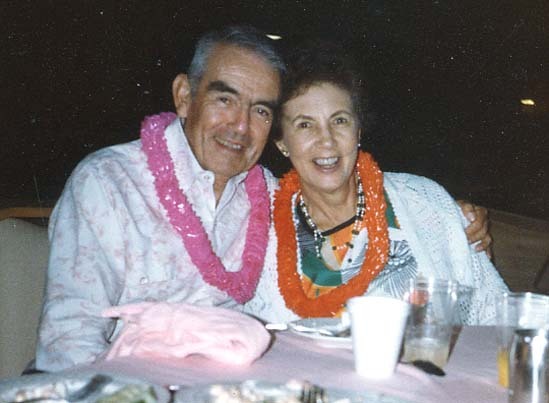 They were longtime members and loved visiting with friends. 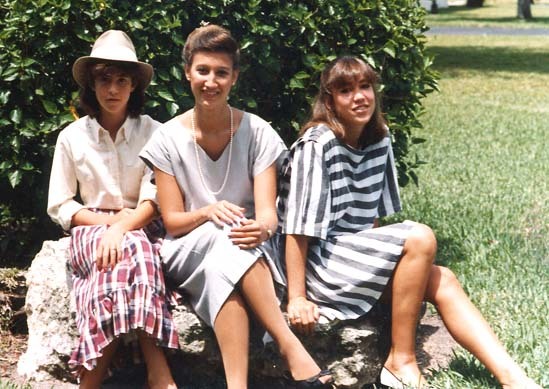 1983 In a Coral Gables garden, Carolyn, Lauren and Lisa, wearing the latest fashions, and looking feminine and glamorous! 1984 Erica Pilar at about 4, exhibits her talent for tap dancing. Later she went on to become a champion volleyball player. 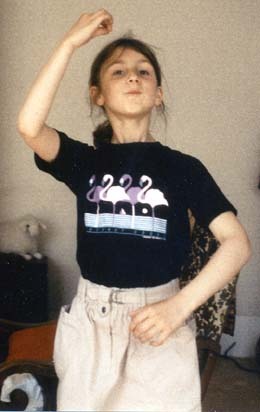 1984 Lara, on her way to scaling mountains, looks ready and confident. Mountain climbing became second nature to her, after a number of treks with her parents. 1985 Now, it's time to practice my ballet steps..... Lara looks pretty dedicated. 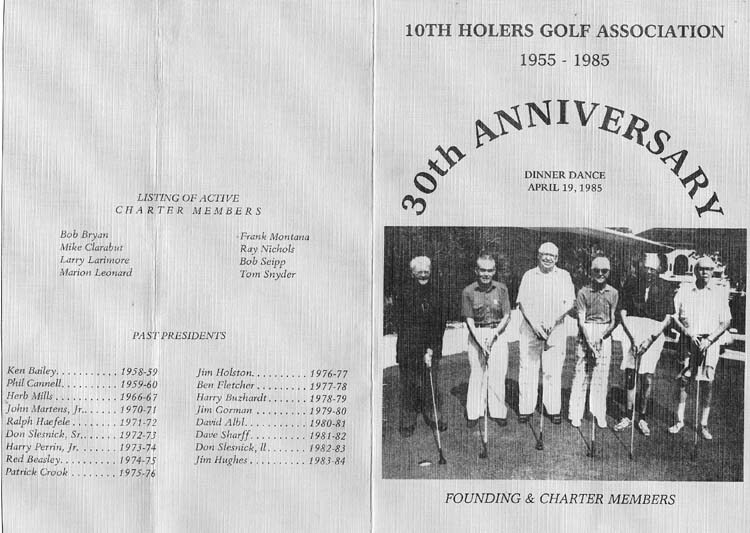 1985 The celebration of the 10th Anniversary of the Country Club of Coral Gables' 10th Holers Association, is commemorated in this brochure. Dad, pictured second from left, is one of the six founding members. 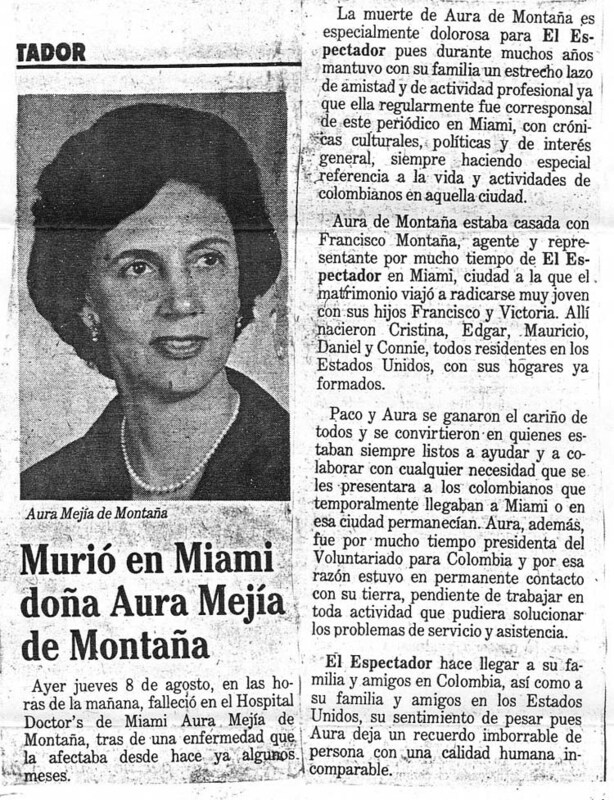 1985 One of Constanza's first articles during the initial stages of her freelance writing career. This piece appeared in a major airline's flight magazine. Her other talents, include art, sculpture and pottery. 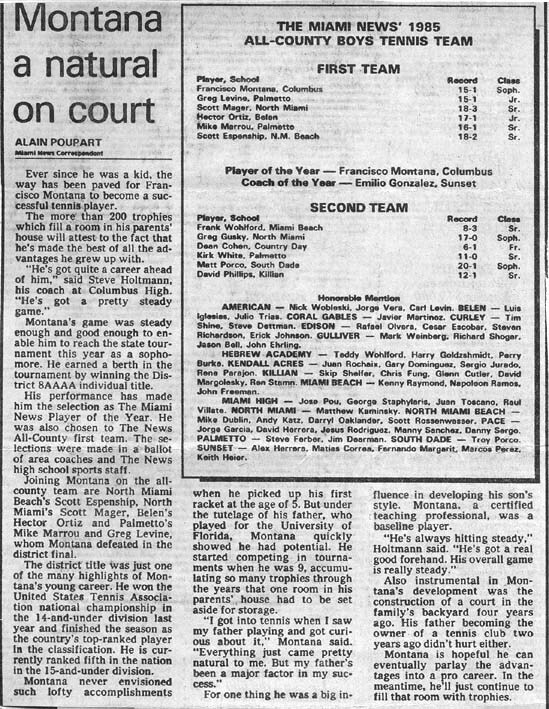 1985 A Miami Herald article on Francisco Montana, Jr., also known as Kiko, and Pacho's son. 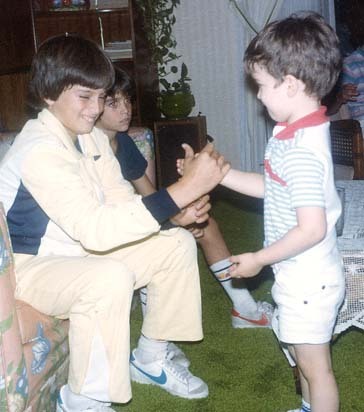 His younger brother Pablo also excelled in tennis, and they were the topic of several articles in the various Miami papers. 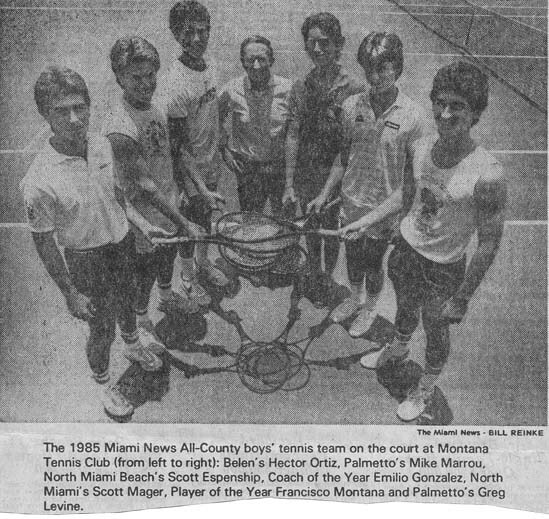 1985 The Miami News All County boys' tennis team on the court at the Montana Tennis Club in South Miami. Kiko is pictured second from right. 1985 Front page of the Florida Tennis Association Yearbook features Mary Jo Fernandez and Francisco Montana, Jr.
1985 Sadly, Mom passed in October. She was courageous and noble; a wonderful friend and the real glue that kept our family together. She left us very big footprints to follow.